An arrest for DWI can be a stressful and frightening experience. After an arrest for DWI, it is important to quickly contact an experienced criminal defense attorney so that all avenues of attack can be preserved. Contact Brittany Carroll Lacayo at 713-504-0506 to schedule a free initial consultation and case evaluation. She will provide an aggressive defense, which may result in dismissed charges, reduced charges, or minimized punishment. After you have been arrested for DWI, you only have 15 days to request a hearing with the Department of Public Safety to challenge the administrative suspension of your driver’s license. Brittany Carroll Lacayo can represent you in both your criminal case and your administrative license revocation hearing. If you have been arrested for DWI, contact Brittany Carroll Lacayo at 713-504-0506 and schedule your free initial consultation to discuss the specific facts of your DWI case. See below for more information on A.L.R. hearings. WHAT IS DRIVING WHILE INTOXICATED (DWI) UNDER TEXAS LAW? dangerous drugs such as cocaine, heroin, or meth. OR they are operating a motor vehicle in a public place and they have an alcohol concentration of 0.08 or more. SHOULD I REFUSE TO TAKE A BREATH OR BLOOD TEST? By refusing to take a chemical test of your breath or blood the prosecutor will not have any scientific evidence of your blood alcohol content at the time of your arrest to use against you at your trial. It will make it more difficult for the prosecution to prove the case against you. The Department of Public Safety provides for longer administrative license suspensions for those that refuse to provide a test of their breath or blood. See below for information about license suspensions following a DWI arrest. The fact that you refused to provide a breath or blood sample can be presented at your trial. 1. Don’t drink and drive. But if you are stopped by the police . . .
2. Do not perform any sobriety tests at all. The officer may request you to do certain things, for example to walk on a straight line, but you can and you should refuse, especially if you suffer from poor balance, or you are under the influence of any alcohol or other substance. 3. Do not blow, especially if you have had more than a single alcoholic beverage. See above for advantages and disadvantages of providing a breath or a blood sample. 4. Be conscious about your body language and speech. Slurred speech and sloppy body language will be used to demonstrate intoxication. 5. Be polite to the officer and remain calm. 6. Remain in the car unless you are asked to exit your vehicle. 7. Remain silent. Do not answer the police officer’s questions. Instead, politely ask to speak with an attorney. These are simply some general suggestions. 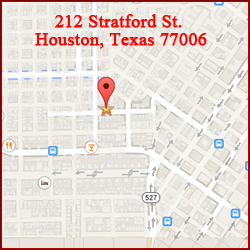 We invite you to contact Brittany Carroll Lacayo at 713-504-0506 to discuss your particular situation. After you have been served with notice of an ALR (generally, when you are arrested for DWI), you only have 15 DAYS to request a hearing. If you fail to request a hearing, your driver’s license will automatically be suspended on the 40th day after your arrest. HOW LONG WILL MY DRIVER’S LICENSE BE SUSPENDED FOR? The following periods of suspensions apply if you consented to a peace officer’s request to provide a specimen of your breath or blood, and it had a concentration of 0.08 or greater. If an analysis of your breath or blood determines that you had an alcohol concentration of 0.04 or more, or that a controlled substance or drug was present in your blood, while operating a commercial motor vehicle in a public place. You did not refuse to provide the breath or blood sample. You did not have an alcohol concentration over the legal limit of 0.08. Your defense attorney will have the opportunity to discover information about the evidence against you. The attorney will be able to subpoena the arresting officer to the ALR hearing and compel his or her testimony under oath. This will provide the attorney the opportunity to question the officer prior to your DWI trial. 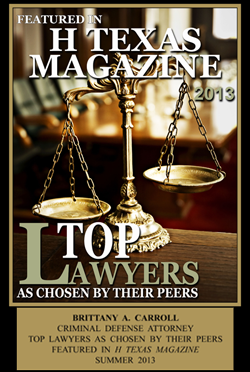 It provides an opportunity to determine possible defenses for your trial. If you win the ALR hearing, the Department of Public Safety will not be able to suspend your license. WHERE WILL THE ALR HEARING TAKE PLACE? Information about other office locations can be found on the website for the State Office of Administrative Hearings: http://www.soah.state.tx.us. If you have had your driver’s license suspended you may apply for an occupational license to drive to and from work, school, or for essential household duties. Generally, the Occupational Driver’s License will only provide for a four-hour driving period. However, your attorney may be able to show the court good cause why the licensee should be allowed to drive for up to 12 hours each day, the maximum allowed by law. If your seeking to acquire an occupational driver’s license contact Brittany Carroll Lacayo at 713-504-0506. What do I have to do to obtain an Occupational Driver’s License? Present the Petition for your occupational license to a judge for approval. Can I operate a commercial motor vehicle with an occupational driver’s license? No. If your license is suspended, cancelled, or revoked under Texas law you will not be granted an occupational driver’s license to operate a commercial motor vehicle.